HOUSTON, November 23, 2010 – Houston Hair Restoration expert, Dr. Bernardino Arocha of Arocha Hair Restoration (www.arochahairrestoration.com), is spreading the word about the potential dangers of using Keratin-based treatments to straighten hair. Such treatments have recently come under intense scrutiny following reports of rapid hair loss and the discovery that formaldehyde, a known carcinogen, is an ingredient in at least some of the treatments. Earlier this month, the U.S. Food and Drug Administration announced it has received complaints from consumers and salon owners associated with the use of Brazilian Blowout and similar products. Tests conducted by Oregon’s Occupational Safety & Health Administration turned up dangerous levels of formaldehyde in Brazilian Blowout that they said were 50 times higher than levels permitted in cosmetics. 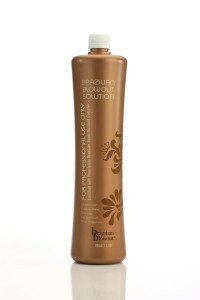 The California Attorney General has filed suit against the company behind Brazilian Blowout. Dr. Arocha is offering a free consultation to anyone concerned about their rapid hair loss so it can be correctly diagnosed. If hair restoration treatments are appropriate, Dr. Arocha can recommend scientifically proven and FDA-approved options. Dr. Arocha notes that it is unclear if the reports of hair loss stem from hair breaking or if the hair is going into a shedding state. There can be many factors that contribute to hair loss, including poor diet and high stress – both of which go hand and hand with the holiday season. Dr. Arocha encourages anyone experiencing hair loss to consult with a hair restoration expert to get a proper diagnosis. According to the FDA, state and local organizations that regulate salons are investigating Keratin-based products and treatments. To report problems in Texas, call 214-253-5237; to fill out the FDA’s Medwatch form online, go to https://www.accessdata.fda.gov/scripts/medwatch or call 1-800-332-1088 to request a reporting form by mail.